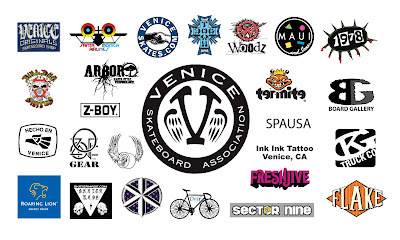 VeniceSurfandSkateboardAssociation: You must think we are all fools. You must think we are all fools. VSA Board members meet with L.A City Rec and Parks Representatives( RAP) on 8/3/2009. RAP reps(Victor, Lydia and Al) were in full government damage control as the three attempted to deny any knowledge of the ASA skateboard event "Super Girl".However the three jesters did admit to to permitting the other two Super Girl events. You are kidding me, right? Did these three think we just fell off our skateboards yesterday? RAP Lydia said, "I have no knowledge of a permit being issued for the Grand Opening of the Venice Skatepark" Come on! So Warner Brothers and ASA are going to issue a press release on the A.P wire to promote the Super Girl event with the "exclusive" use and "grand opening" of the Venice Skatepark without a permit for skateboarding?!!Ludicrous! The VSA board members pressed the RAP about film permits, grand opening and youth programing. As the meeting adjourned, it became apparent that these three kooks had know idea who or what the VSA is or what we have accomplished as an association. Just as clear is what type of shenanigans took place and this is what I suspect went down concerning the "Super Girl event". Victor is the Venice Beach Recreation Manager, he issued the permit without consulting VSA making to look like a star, VSA found about about it and blew it up. Now RAP has egg in their face so they send in damage control with some lame spin on a misunderstanding.The bottom line is the VSA stopped the ASA event from being held at the skateparK and ASA will have to bring in their own ramps.Graciously the ASA have offered the VSA a booth at the "Super Girl event to which we will most humbly accept and appreciate the offer. You can be sure the VSA will continue to be vigilant as to the community's investment at the Dennis Agnew Memorial Skatepark.We will continue to protect and voice surfers and skateboarders interests!